It's not difficult to figure out what part of world I'm singing the praises of this week, and you should know that I'm more surprised than anyone by this addition. I never expected the Ceremony to affect me as much as it did. Twelve months ago, I'm not going to deny that I was a bit ashamed to call myself British, or essentially English. I'm sure that I don't need to remind anyone of last years riots. However, over the past twelve months with the immense power of the average person and their broom, and then of course the build-up to the most amazing Olympics Opening Night, that I think I will ever experience, we've pulled ourselves back together and shown the world what we're made of. I should confess that I haven't really gotten very much into the Olympic Spirit. I'm not a sports fan, although I do enjoy the swimming, gymnastics and ice skating (I know that's the Winter Olympics but still!!). 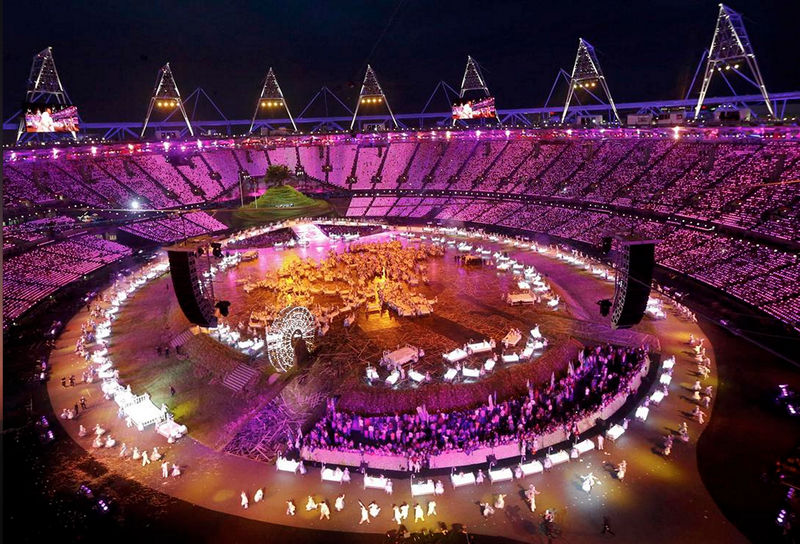 But, I'm glad that I decided to watch the opening ceremony, because it was something that needed to be experienced. As a Brit, I felt like it reminded me that even though things are tough right now, our country has dealt with hardships before and come out stronger than ever. We can do it again. 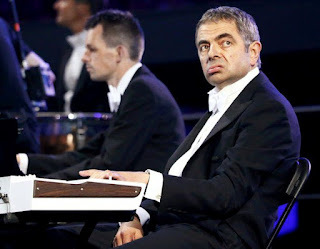 It was incredible to watch the hard work of people like Danny Boyle, Kenneth Branagh, Daniel Craig, Mr. Bean (sorry, Rowan Atkinson) and all of the amazing volunteers who put together a show that I felt really represented a large part of what makes us British. Okay, so maybe some people didn't get it, I must admit there were some bits that I didn't entirely get either, but c'mon James Bond had the Queen parachuting out of a Helicopter! 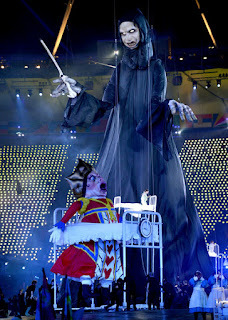 And how freaky was that bloody tall Voldemort?? 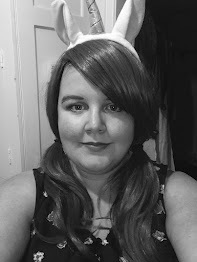 Eep! !